The Media Foundation for West Africa (MFWA) has released the first report of its campaign language monitoring project. The report, which is based on monitoring of 516 programmes on 40 radio stations for the period April 18-30, 2016, names political parties whose officials, affiliates and supporters used abusive language; individuals and radio presenters who used abusive language; and radio stations on which the indecent expressions were used. A total of 87 incidents of indecent expressions were recorded on 18 out of the 40 radio stations monitored. Officials, affiliates and supporters of the main opposition New Patriotic Party (NPP) topped the list of culprits with a total of 27 incidents. 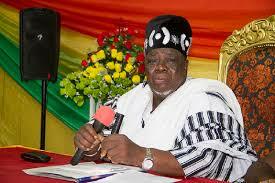 The ruling National Democratic Congress (NDC) followed with a total of 16 incidents. The others were: Progressive People’s Party (PPP) and the New Labour Party (NLP) – four (4) each; National Democratic Party (NDP) – two (2); and the Convention People’s Party (CPP) and People’s National Convention (PNC) – one (1) each. For the radio stations, 18 out of the 40 monitored, recorded incidents of indecent expressions. Accra-based Montie FM topped the list with 22 incidents followed by Oman FM with 15 incidents, and Adom FM and Diamond FM with seven (7) each. All the incidents of indecent expressions recorded on Adom FM were also recorded on Nsawkaw-based Tain FM. “It is regrettable to have programme presenters not only allowing their platforms to be abused by politicians but also being the abusers themselves,” said Abigail Larbi-Odei, MFWA’s Programme Manager for Media and Democracy. The monitoring report is the first of several to be issued by the MFWA before, during and after the 2016 elections (April – December). Under its “Issues Not Insults” campaign, the MFWA and its team of monitors are on a daily basis, monitoring and tracking indecent expressions used by politicians and activists on selected radio programmes. The campaign also involves monitoring and reporting how presenters/moderators on the selected stations handle their programmes and whether or not they allow their platforms to be used to abuse others. The project which will be expanded to cover 70 radio stations across the country by July 2016 is being implemented with funding support from OSIWA, STAR-Ghana and the EU (through Socioserve Ghana). The full report which includes the names of individuals who used the 87 indecent expressions and the other radio stations on which indecent expressions were recorded is available here and at the publications section on our website, www.mfwa.org. For further clarifications, contact Sulemana Braimah (0244520243) or Abigail Larbi-Odei (0244 867 047).